Did you know that foodora now has pick-up service? Starting today, customers can enjoy this new option aside from food delivery in three Canadian cities where foodora operates: Vancouver, Toronto and Montreal. 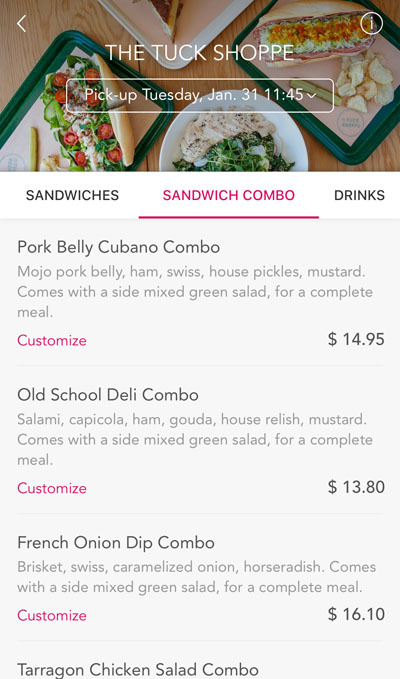 This new feature is great for those who don’t want to wait in line, workers with short lunch breaks or want to pick up dinner on the way from work, or those who want to pick up a meal but do not meet the minimum amount for a foodora delivery. foodora wants to make food ordering as seamless and flexible as possible to meet varying customer needs and schedules. Recently, foodora invited me to try out their new pickup option and I found out just how easy it was. Disclosure: All food in this review was complimentary. Opinions are my own. 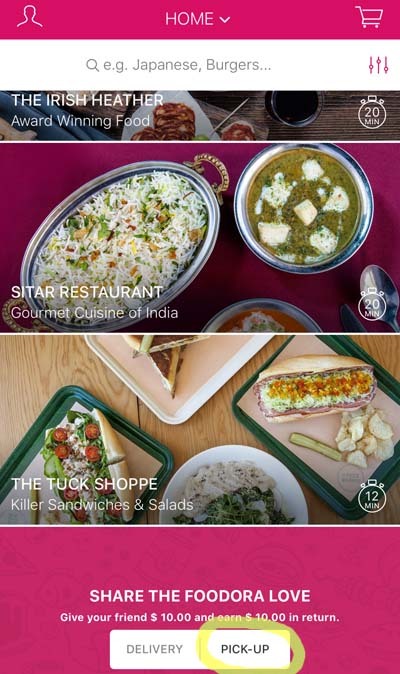 Using the foodora app (iPhone or Android) or website, customers can look for restaurants delivering to their area, place an order, track as it is prepared and select the pickup time and date. On the app, you can start filter for restaurants that allow pickup. foodora Vancouver has a stellar list of partnering local restaurants including Bau Haus (yes, fine dining!) and Little Saigon. This time around, I decided to try out The Tuck Shoppe in Chinatown which specializes in some very tasty sandwiches and salads. I placed my order for an Old School Deli Combo ($13.80) and the French Onion Dip Combo ($16.10). I noted the pick up to be half an hour from when I submitted the order, but foodora notes that The Tuck Shoppe can have it ready as early as 12 minutes. When I got to the The Tuck Shoppe, my order was ready and i was in and out of the restaurant within 5 minutes. I love the fact that I didn’t have to line-up and spend time making the payment. That’s because everything has been pre-paid via foodora. The two sandwiches I had were oh-so-tasty. The ingredients seemed fresh and good quality (they use local ingredients). Both sandwiches came in a baguette that was slightly crispy on the outside. All their combos come with a mixed green salad and chips by Hardbite. 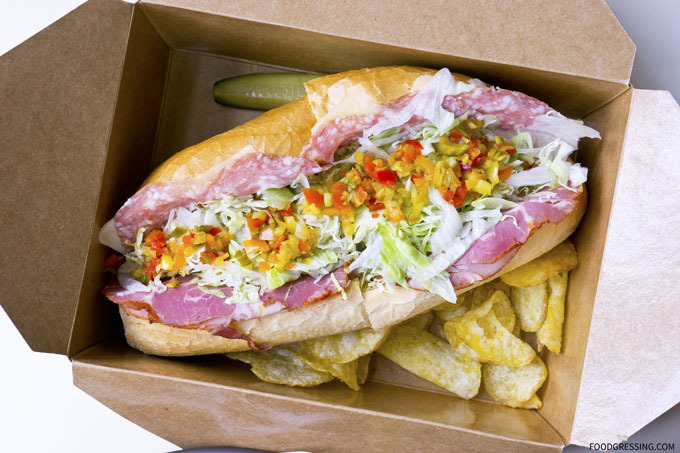 The Old School Deli Combo was a delicious, cold-cut sandwich with salami, capicola, ham, gouda, house relish, and mustard. 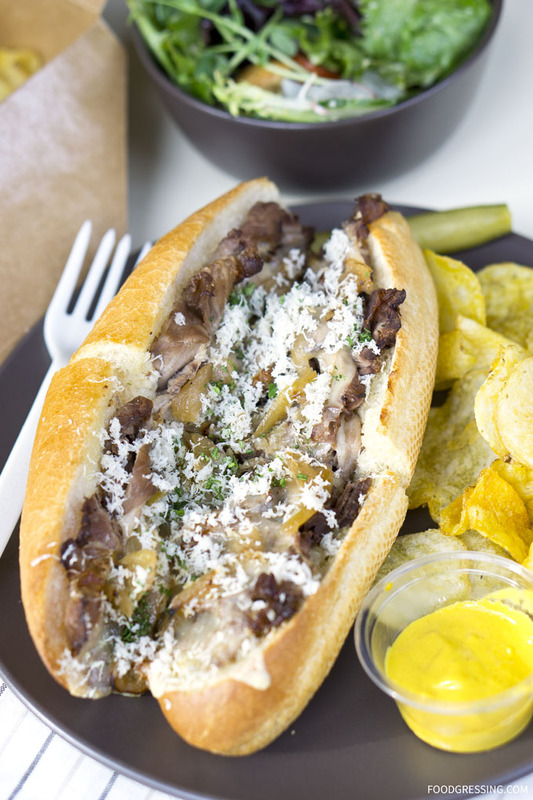 The French Onion Dip is one of the more “famous” sandwiches by The Tuck Shoppe. It has been featured in Scout Magazine here. The experience starts with the beef brisket. Scout Magazine reported that the thin slices of beef brisk is brined for 24 hours in a mix of red wine vinegar, soy sauce, brown sugar, garlic, salt, pepper and olive oil. It then sits in a sous vide bath for a day at 62.5 degrees before resting for another day. Each sandwich has 5 oz of beef brisket. 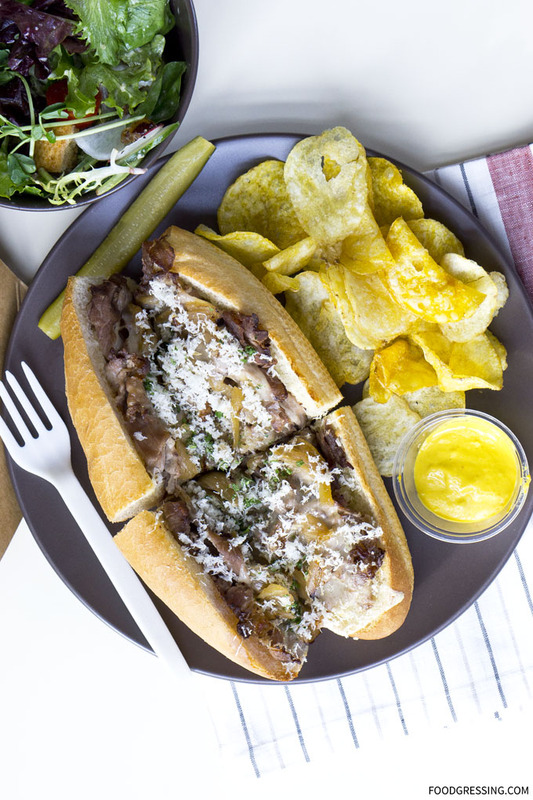 The dipping jus is just divine – a salty combination of the meat’s brine, the moisture from the meat’s sous vide preparation, and some puréed caramelized onion. All in all, foodora helped to facilitate a no-frills lunch for pickup. 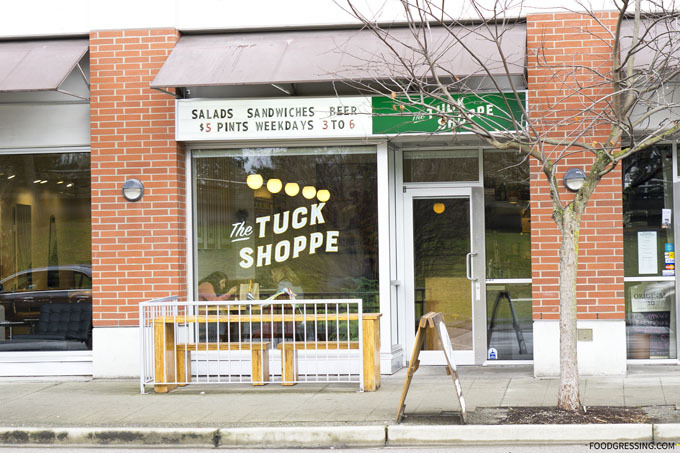 It introduced me to the the tasty eats of the Tuck Shoppe (oh, that French Onion dip sandwich!). I will be using this feature again in the future. 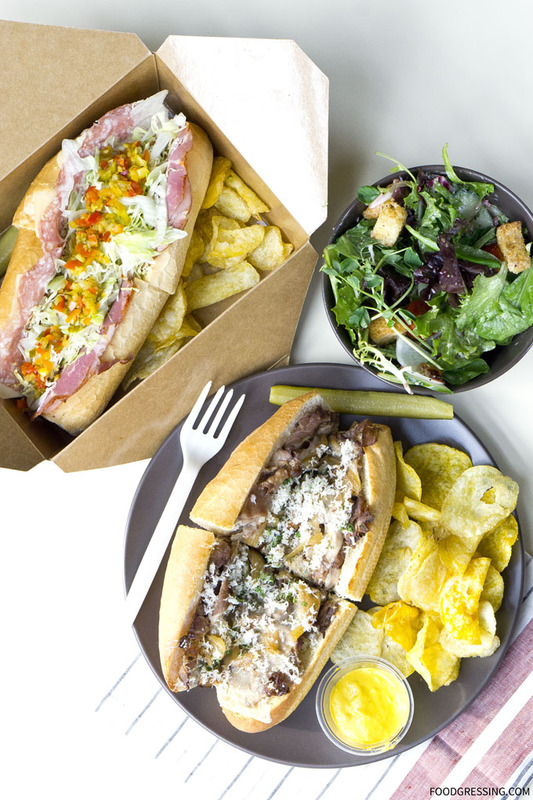 If you’d like to get $10 off your first order from foodora, please follow this referral link to redeem this offer.